In the empowering post, the star wife revealed how she is finally comfortable in her own skin. 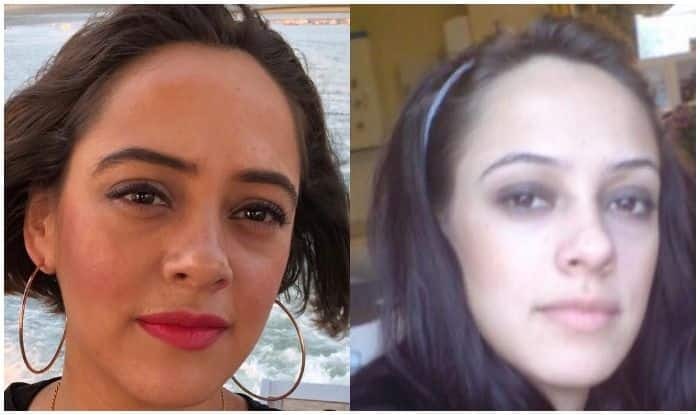 Cricketer Yuvraj Singh‘s wife, Hazel Keech, shared a revelation from the past decade that no one has been bold enough to share until now, in the latest internet fad of the #10YearChallenge that has gripped celebrities and commoners alike. While everyone is sharing their gorgeous makeovers through a collage divided into two frames that show people’s then and now, Hazel shared the details about battling depression, bulimia and the pressure to fit in. In the empowering post, the star wife revealed how she is finally comfortable in her own skin. Sharing her recent picture in a collage with her picture from ten years back, Keech wrote, “Here is my #10yearchallenge 22 years on the right VS almost 32 years on the left…. and how far I’ve come! I was battling depression, starving myself, had bulimia, dyed my hair dark and kept it long trying to fit in a please everyone around me but hiding all the pain with a smile and joke so no one knew. Today, i can confidently talk about what I’ve gone through, i dont care what others think of me, i finally had the courage to cut my hair, i dont try and fit in anymore and i am happier, healthier and more at peace with myself than i ever imagined i could be! Wahooo #personalcelebration thanks whoever started the 10 year challenge” (sic). Known for her role in Salman Khan and Kareena Kapoor starrer Bodyguard and for her song Aa Ante Amlapuram from the movie Maximum, Hazel is a British−Mauritian model who tied the knot with Yuvraj on November 30, 2016, at Fatehgarh Sahib near Chandigarh. The actress was recently making headlines for her baby bump which was apparently a rumour, post her appearance at Esha Ambani’s wedding last year. Last year, the actress also revealed in an interview with a leading news organisation that she had featured as a student of Hogwarts in the Harry Potter franchise and was part of three films with the lead cast Daniel Radcliffe (Harry Potter), Emma Watson (Hermoine) and Rupert Grint (Ron), acting alongside them in Harry Potter and the Philosopher’s Stone, Harry Potter and the Chamber of Secrets and Harry Potter and The Prisoner of Azkaban.